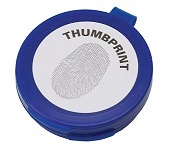 Self-Inking Notary Stamp - Impression Dimensions: 5/8" x 2-5/16". Made specifically to meet your state requirements. 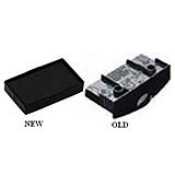 Self Inking custom stamps are convenient for all office and personal uses. The ergonomic handle is designed for durability and comfort. Stamps make approximately 5,000 - 7,000 impressions before needing to be re-inked. Use ClassiX Refill Ink only to re-ink your stamp pad.